To see the cherry hung with snow." You can see all the photos HERE on Flickr. bloom by bloom, plant by plant. Earlier in the week, I wrote a little about the process of writing this poem. How I got from STIGMA, my word in Ed DeCaria's Madness! 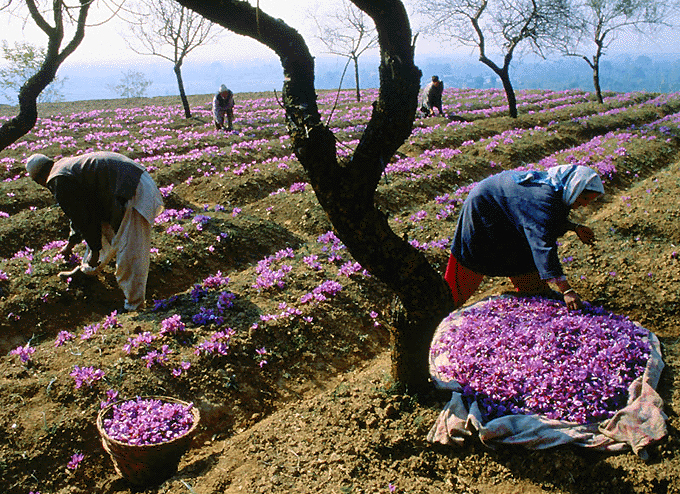 2012 poetry contest, to a SAFFRON HARVEST. I am a better writer. I am a better writing teacher. R. went and got a thesaurus to look up a better word for DRY in one of her poems. N. asked for a word so that she could try writing a poem the way I had. She is learning so much about the writing process as I share my process with her -- that it pays to collect definitions, synonyms, rhymes and pages of ideas before you actually start the poem. On Wednesday, my Environmental Club "lesson" was on parts of plants and parts of flowers...specifically, STIGMAS. 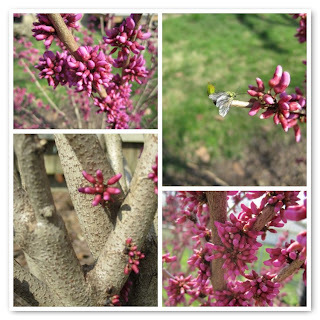 Then we went outside in the warm sun and the brisk breeze and we putzed around in the land lab, peeking into every bloom we could find, looking for the stigmas. This from my Mom: "I think more about words since your poetry contest...I wanted to share this beautiful sentence from the book I am reading now--a mystery set in Wyoming, starring a fish and game officer. "A single stringy white cloud seemed to have snagged on the top of the peak like a plastic bag caught on a tree branch." "
And last, but not least, all of the SUPPORT and kind words from bloggers around the Kidlitosphere, from folks back in my hometown, from friends far and wide, from the teachers and kids at school. National Poetry Month starts this weekend. I'm sure today's roundup will highlight many of them. Starting on Sunday, I'll be posting an original, fresh out of the notebook poem-a-day here, in amongst our regular programming. These will be DAILY poems, not polished drafts that I've worked on for five hours. I don't have a particular theme for my poems, like Heidi does, or a particular way I'll be getting my ideas, like Amy LV does. I think I'm going to try playing around with some longer forms (I was inspired by Susan Taylor Brown's pantoum and Amy LV's triolet and Kat's sonnet). Maybe I'll combine my Project 365 photography with poems. We'll just have to wait and see! I am a huge fan of wordless picture books, and Arthur Geisert is a master of the form. It's high time we here in the U.S. started paying better attention to books published internationally. 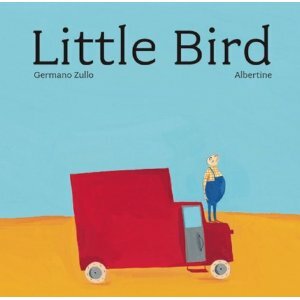 Take for instance, Little Bird, winner of the 2011 Prix Sorcières for illustration (the French Caldecott). Yes, the book is visually stunning. It's clear why it won an award for illustrations. But it's a great story, too. About the small things in life. About keeping your eyes open for the little ways that make every day different, unique, and a day to be treasured. This is not quite a wordless book. The words stay tucked down at the bottom of the page in the white margin around the illustration. The words are like a quiet commentary that complement the cinematic pictures. This is one I'd love to read to kids of many ages to see how their reactions differ. I subscribe to a free daily dose of these cartoons by Hugh MacLeod. (Sign up here.) It's creepy but wonderful how often they "talk" to me by giving me just the message I need to hear at the moment they land in my inbox. I used one in a post a week ago, when I was shaking my head at getting the word SCUTTLE in Ed DeCaria's Madness! 2012 Poetry Writing Tournament, and at the crazy improbability that I could even hope to win against the amazing children's poet Julie Larios. I spent 6 straight hours Monday night after school working on a poem that uses the word stigma in it. The way I looked at it, I had two options: a poem about social disgrace, or a poem about one of the reproductive parts of a plant. I was totally stuck because I was trying to write a poem about the word. I needed to write a poem that just used that word in passing. That's when I decided to write a poem about saffron. 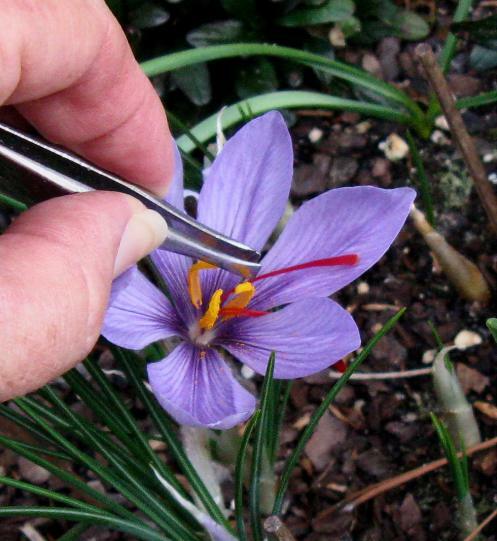 What do I know about saffron and saffron harvesting? I have a bottle of it in my spice cupboard. I've cooked with it maybe once or twice in my life. Thank goodness for the internet. I Googled "Saffron Harvest," and through the pictures, video, and websites, I created a virtual experience for myself, and boiled it down into a poem I could be proud of. As agonizing and frustrating as it was to work for SIX hours on this poem, the moment when I realized I was on the right track was an amazing and addictive kind of high. Because of this contest, I am learning that I really do LOVE to write poetry. I am not that good at writing funny poems, or poems with a regular rhythm and spot-on rhymes. But I am finding out, through this contest, that I am good at near-rhyme, flow, titles, and nailing down endings. Voting is still live throughout today for the "Elite Eight" poems in the Madness! 2012 Poetry Contest. My poem is here. It lost by a couple of votes, but I'm still feeling lika a big winner. Thank you Ed DeCaria at Think Kid, Think for a fun game. 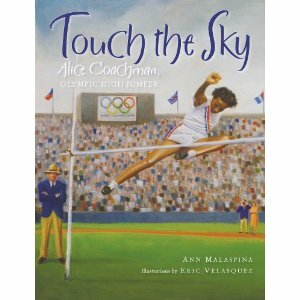 This biography of the first African American woman to win Olympic Gold is written as a series of free-verse poems. Malaspina does a fabulous job showing the reader how Alice the child became Alice the Olympian. Alice's dream and her talent were jeopardized by the poverty of her family and the color of her skin. But all along the way, people believed in her and opened doors for her. She never let them down. She literally cleared every hurdle put before her. Photographs, the author's note, and the bibliography (including several websites) help to bring the story into sharp focus. I fell in love with Gail Carson Levine years ago when I read PRINCESS SONORA AND THE LONG SLEEP. The humor she brought to her retelling of one of my favorite stories--The Princess and the Pea--was brilliant. And I went on to read the rest of her Princess Tales. So, I have been looking forward to Gail Carson Levine's new poetry book called FORGIVE ME, I MEANT TO DO IT. I really had no idea what to expect from this book, but knew that I'd want a copy. I picked my copy up at Cover to Cover last week and read it when I got home. This book was one that made me laugh out loud. Each poem in the book is connected in some way to a fairy tale or nursery rhyme we know. The poems are apologies from characters, etc. about their actions. But they are false apologies which makes them even more fun. I kept finding poems I wanted to share with my family. (My husband was thrilled as I continued to read samples aloud while cracking myself up--he was trying to watch March Madness...) One of my favorites was an apology poem from Pinocchio. I think kids will have a ball with this one. Older kids will make the connections needed to understand the humor. For some, this may inspire them to read some of Gail Carson Levine's other fairy tales--her retellings and her original tales. 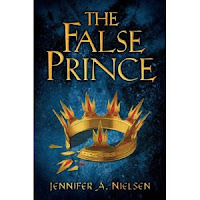 So much to love about this author and this new book! Go Visit TEACH MENTOR TEXTS for the whole round up of It's Monday, What Are You Reading Posts! Thanks Jen and Kellee! I read lots of good, short books over spring break last week. I didn't have as much time to read as I usually do as I tried to spent a good deal of time writing. And then there is the whole exercise thing that is taking up more and more time. Since I am focusing on fitness and making time for that in my life, I was worried that I was reading far less. But when I checked my Goodreads numbers, I am at about the same place I was last year. I think having less time to read it allowing me to focus on short books--poetry, graphic novels, picture books and I am loving the books I am finding. 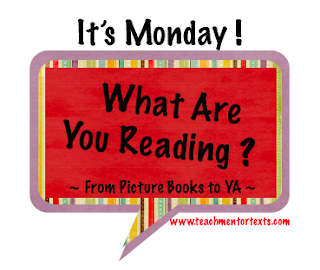 This week, I read. 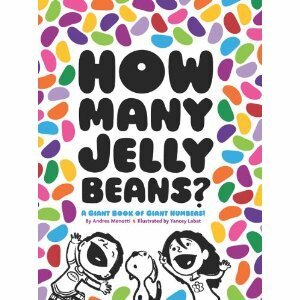 HOW MANY JELLY BEANS? by Andrea Menotti This book is such fun. It reminds me a bit of HOW MUCH IS A MILLION and I think kids will love it. 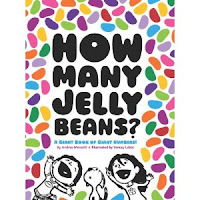 The story is about two kids discussing the number of jelly beans they could eat. When they get to the number of jelly beans they could eat across a year, the math thinking becomes more complex. I love all of the invitations for problems solving that this book has. This is definitely one that can be used in a math classroom or it could just be used as a fun read aloud. The size and colors also makes this one pretty fun. I DON'T WANT TO BE A PEA by Ann Bonwill will make a fun read aloud. I pretty much buy anything that has any connection to the Princess and the Pea. But, I actually picked this one up because I like it for word play. This is the story of a hippo and a bird who are friends--who depend on each other. But when they are trying to decide on costumes for the upcoming costume party, they have some problems. I like all of the ideas that the bird and hippo come up with. 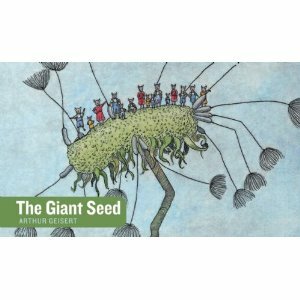 This is a fun read aloud for younger kids and I think it would be a great conversation with older kids about how words go together. 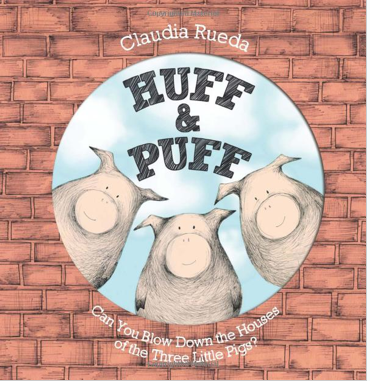 HUFF AND PUFF by Claudia Rueda is another traditional tale retelling. 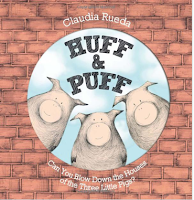 In this one Rueda retells The Three Little Pigs in a short, interactive way. The whole story is told in just one sentence per page. And readers are invited to join along in the huffing and puffing. This one would be great to use with older kids to talk about summarizing/synthesizing etc. I also read a few nonfiction picture books. GOING APE by Eduardo Bustos is a short book with facts about various primates. Each page focuses on one type and has just a few sentence to go along with it. Great for all ages. 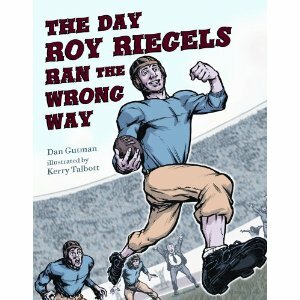 THE DAY ROY RIEGELS RAN THE WRONG WAY by Dan Gutman is a great story of a football player's game-changing mistake. I love adding new books to my collection of picture book biographies and I love this one because it is sports related and I love the message about mistakes. There is also an interesting writing style in which a grandfather is telling his grandson the story of Riegels and their talking bubble dialogue is set up on the side of the page. LEO GEO AND HIS MIRACULOUS JOURNEY THROUGH THE CENTER OF THE EARTH by Jon Chat is one that I am still reading. It is an odd shaped book that chronicles a journey to the center of the earth--and back. The book is a bit of a graphic novel and it reminds me a little of a more grown-up version of The Magic Schoolbus. 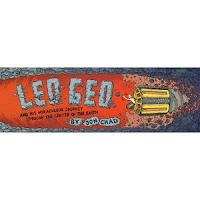 This book is not only unique in format, but it is PACKED with information about rocks, the earth's layers, etc. A great nonfiction book and one that will engage students due to its format and humor. I was surprised at how long the book takes to read-as I said, it is packed with information. There is far more text in the book than there appears to be. 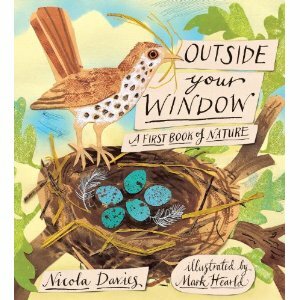 And I love the new poetry book OUTSIDE YOUR WINDOW: A FIRST BOOK OF NATURE by Nicola Davies. I love this nonfiction author and was thrilled to see her new volume of poetry about nature and the outdoors. This looks to be a well-loved collection with lots of opportunities for studying craft. 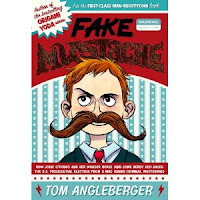 And my absolute favorite read of the week was Tom Angleberger's FAKE MUSTACHE. What a great read! I have been waiting and waiting and waiting for this book and I was so happy to finally have a copy. I can't wait to share this book with kids. This is the story of Lenny whose best friend buys a fake mustache. With the mustache, he tries to take over the world. Lenny is the only one who can see what is happening and he tries to save the day. This book is hysterical. (The subtitle alone made me smile--FAKE MUSTACHE: OR HOW JODIE O'RODEO AND HER WONDER HORSE (AND SOME NERDY KID) SAVED THE US PRESIDENTIAL ELECTION FROM A MAD GENIUS CRIMINAL MASTERMIND. I laughed aloud a lot while reading. How Tom Angleberger thinks of these things is beyond me. 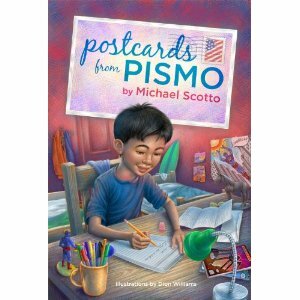 This book is going to be a huge hit with my 4th and 5th grade readers. I am sure we'll need several copies of this one in the library. A great story that is really, really fun! One wall in my “office” is filled with professional books. From floor to ceiling, the shelves are filled with the books that have helped me learn to teach thoughtfully. I have been reading professional books throughout my career. I have hundreds and hundreds of books that have impacted my thinking. I have been lucky to learn from amazing people over the years and I learn something new every time I revisit an old favorite. In the last several years, I have noticed I’ve purchased fewer professional books. I am reading more professionally, but much of my professional reading is online. So in a cleaning frenzy a few weeks ago, I decided to weed out some of my oldest professional books. I have been teaching for twenty-five years so I figured I could weed almost every book published before 2000 to keep my professional library current. I have so many books and so many that I read years and years ago, I figured that this would be an easy job. But, the job was not so easy. While browsing the shelves, certain books triggered a feeling of transformation-books that changed who I was as a teacher Below are ten classics that I could not part with, even though they were all published prior to the year 2000. Even though I have newer editions of most off the titles, it was the original reading that made a difference for me. These classics set the stage for what we understand about literacy learning and teaching. So many of my big understandings come from these foundational books. These are the books that reground me, reenergize me and remind me of all the reasons I became a teacher to begin with. This is in no way a conclusive list. But it is an important one to me. Consider this my “oldies” playlist of professional books—the learning that is playing around in my head every time I work with children. 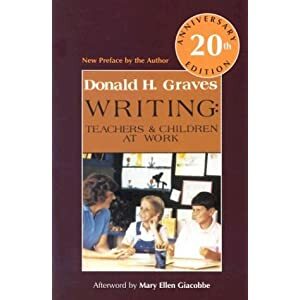 Writing: Teachers and Children at Work by Donald Graves was one of the first books that took teachers inside classrooms to let us know what was possible. I didn’t read this until I graduated from college but Graves’ work was the work that created huge changes in classroom writing programs. It was a great time to start teaching and this book laid the groundwork for my thinking about writing process. I had been teaching 1st grade for three years when I asked to be moved to 4th grade. 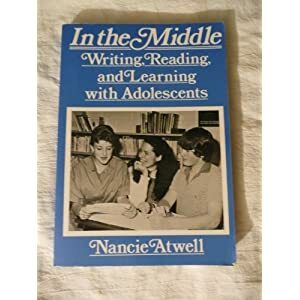 I was excited about the change and had heard about the book (first edition) In the Middle by Nancie Atwell and was excited about the whole idea of workshop. 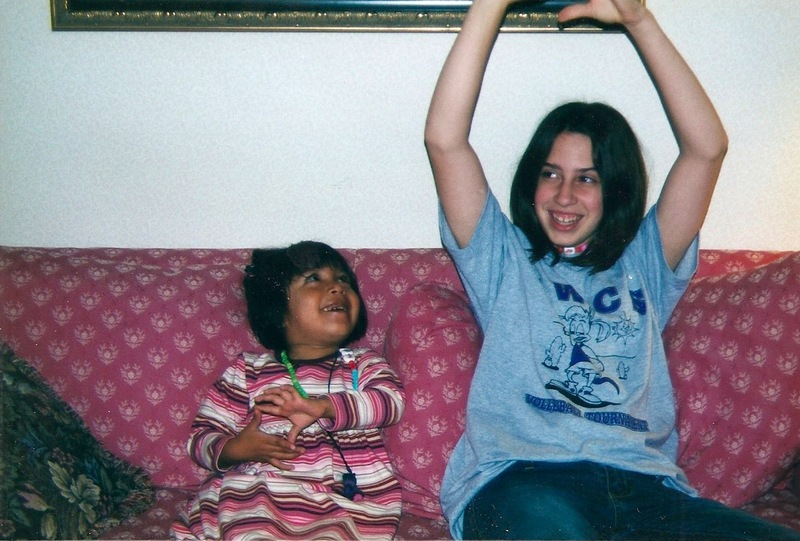 The summer before I started teaching 4th grade, I was pregnant with our first daughter. My husband had a summer job delivering pizzas. I remember laying on the couch with a bag of Doritos and reading In the Middle over and over. That summer, I created a vision of an intermediate workshop classroom all because of this book. 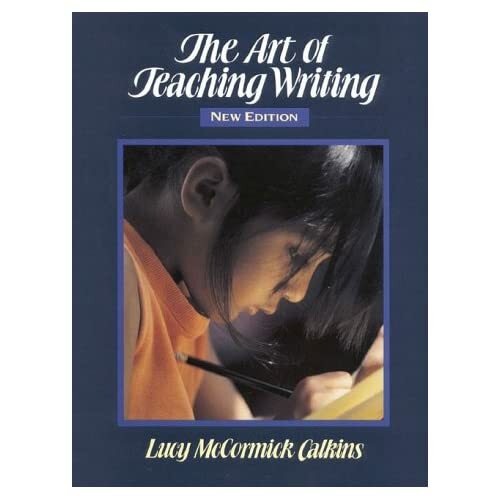 I was able to attend the Teacher’s College Writing Project and learn from Lucy Calkins for ten days in 1991. But I was a total fan by the time I attended, having read everything she wrote cover to cover, over and over again. Lucy’s work helped us listen to children and to be thoughtful about everything we did. The Art of Teaching Writing by Lucy Calkins was packed with new thinking. Ralph Peterson was a huge influence for me. 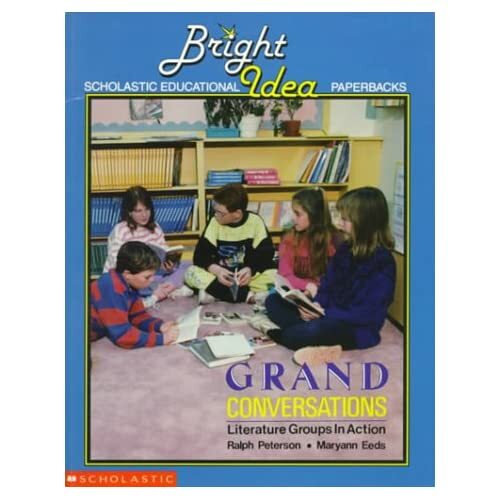 His book Grand Conversations was one that helped me see the power of books and student conversations. It was one of the first books that helped me to see what could happen if students were in charge of their own understandings and conversations. It was a short book, but packed with thinking about the importance of talk and ownership. I learned a great deal from the staff at The Manhattan New School. I learned through visits, workshops and their writing. The schoolwas amazing and the staff was generous in sharing all that they learned. A book that changed my teaching was Shelley Harwayne’s Lasting Impressions: Weaving Literature Into the Writing Workshop. I have always been a huge children’s literature person and this book helped me see the power of children’s literature for writers. 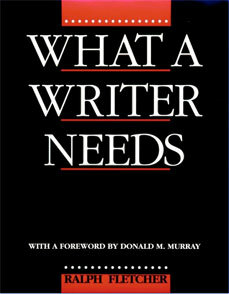 What a Writer Needs by Ralph Fletcher is a book that opened up so many possibilities for me as a teacher of writing. The ways that Fletcher showed us, as readers, how to look at text with a writer’s eye was key to what we do today. This was the first book that that helped me “read like a writer”. The work of Howard Gardner and Harvard’s Project Zero has been instrumental in who I am as a teacher today. 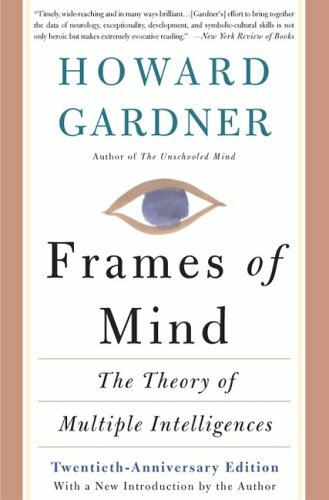 Frames of Mind: The Theory of Multiple Intelligences. As with all of Gardner’s work, this book taught me strategies for getting to know the whole child and to build on each child’s strengths. A Workshop of the Possible: Nurturing Children’s Creative Development by Ruth Shagoury Hubbard is one of my favorite books ever. It takes a look at the creative process with young children and takes us into a classroom where children’s thinking is the key to the way in which the community works. I learned how much you could learn and how much better you can teach if you really listen to children and their thinking. 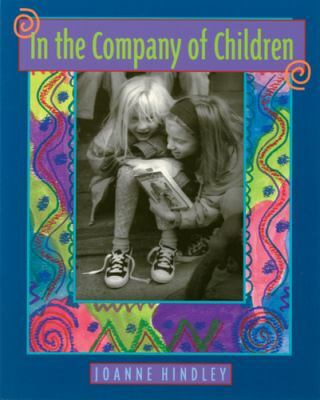 In the Company of Children by Joanne HIndley was another book from the staff at the Manhattan New School that showed us the daily life in a workshop classroom. In this book, Hindley shared the routines and structures that made her reading and writing workshops so successful. This was one of the first books I read that focused solely on those transitional readers in Grades 3 and 4. 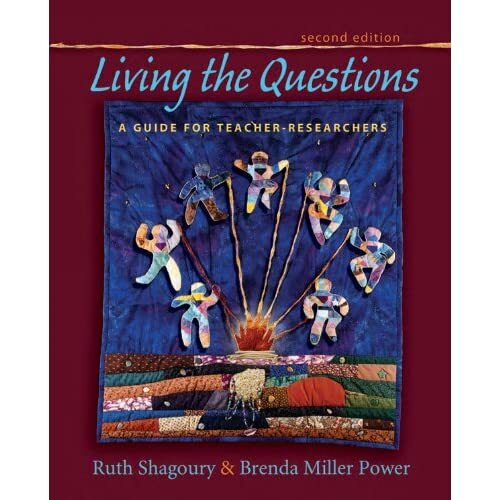 Living the Questions by Brenda Power and Ruth Shagory taught me to teach, as with questions in mind and that the research I did in my classroom mattered. This book help to make clear for me that a research-based stance to teaching was important for me. So, . I wasn’t totally successful at weeding my shelves. But the process was an enlightening one. 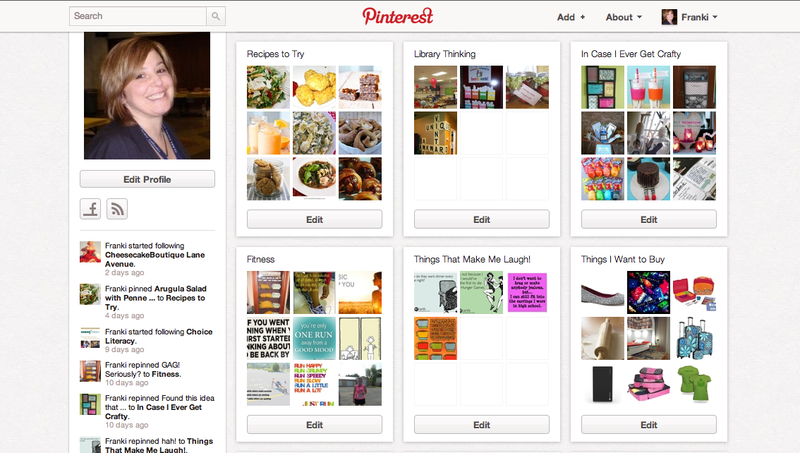 I could see, on one wall, the influences of my teaching life. I could see the power of professional reading and the power of learning from others. My professional reading over the last 25 years has definitely impacted my practice. And who am I "versing"? I am versing Julie Larios. So, yes. 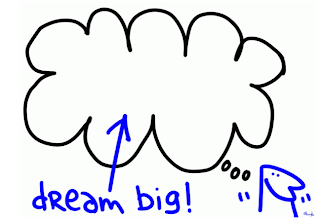 I am dreaming big. And I am working hard. I think I'm pretty close to a final draft that I like and can be proud of. Except for updates on the Madness! 2012 Tournament, we are taking our Spring Break away from the blog. 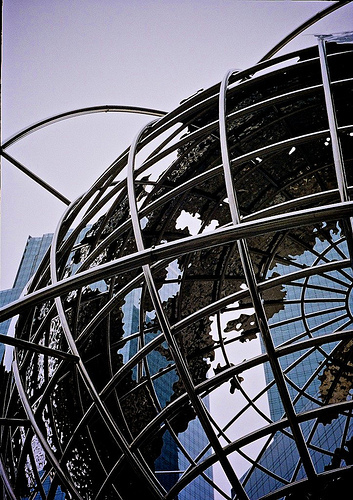 Update: Voting is open on the first flight of the round two poems. Mine (CAVALIER) is here. Not as easy as whacked. I got stuck for a REALLY long time. But then, just like last time, all the words fell into place. I like it. My poem has been submitted (without kid testing this time). Voting will begin sometime tomorrow. I still can't believe I won my bracket in Round One of Madness! 2012 -- the Children's Poetry Writing Tournament over at Ed DeCaria's blog Think Kid, Think! This poem surprised me. My prompt was "whacked." I have two pages of brainstorming and false starts in my notebook before the phrases "Donkey tail -- tacked" and "Piñata -- whacked" show up. 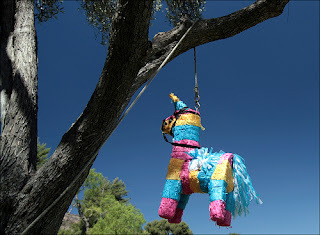 Then my poem changed from a bad kid with a baseball bat to a birthday party. The poems in the second flight of round one are still open for voting. Go over and enjoy all the brand-new sparkly-fresh poems (and vote)! Then go to the Poetry Friday Roundup at Greg's blog, GottaBook. 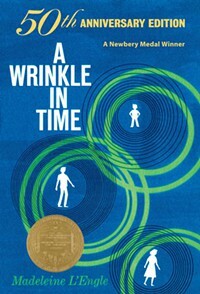 Yesterday I wrote about our annotation of A Wrinkle in Time. Today I thought I'd share some posts that one of my students has done on her blog. These posts were neither by invitation nor command -- they came entirely from the student's desire to respond to her reading. She is an ELL student who has been in this country and learning English for just over a year. I have only edited her writing in minor ways to help communicate her meaning. Today after school I know it was going to rain or something. When I walk home, I think about the black thing that is over Earth. I think that is the black thing that the author she is talking about or have an idea to make on wrinkle in time! I think that when one time it rain and then the author of wrinkle in time think about it and make the story name: Wrinkle in Time! I want to ask her if that my idea is right or wrong, I will be really happy if I am right! Thank you for being a nice character; some time I am just like you, I am not doing what I have to do, so I get into troubles. Every time I start a book, I always look for the books like A Wrinkle in Time! I think you guys are not only looking for your father, but you are learning that who you are and people don’t have to be the same, the best thing on Earth can be the worst thing on Earth, you know people are never be the same, but you will don’t have friends if you are not the same as others. I learn that you don’t have to be just like others, but it will be very good if others understand you, so you can be friend with them. I hope the 3 ladies live happily ever after being a star! Said hello to your family for me!!! Thank you for being a good character, but the thing is that you can’t give in, and as your sister said that like and equal are two different things. After your sister uses the power of love to get you out, I think you learn that you can’t get in, your sister always loves you, and you have to love her back. I hope you are being a good brother to Sandy and Denny, and teach them what you learn! PS: keep on doing the hard work! 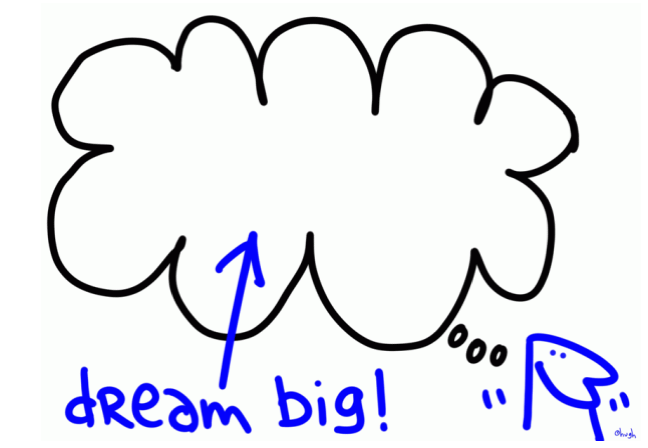 Head on over to the Live Scoreboard on Ed DeCaria's blog Think Kid, Think! Almost all of the Round One, Flight One poems are up and ready for your votes. Yes, mine is there, but take a minute to enjoy ALL of the "Kids' Poetry. Under Pressure." You might remember me mentioning that I am reading aloud A Wrinkle in Time (well, actually Madeline L'Engle is, through the magic of audio books...) and that we participated in the 50 Years, 50 Days, 50 Blogs blog tour for the 50th anniversary of the publication of the book. Inspired by Monica Edinger's blog posts about annotating Charlotte's Web with her fourth graders, and fueled with a "worst they can do is say no" attitude, I asked the promoter of the blog tour if it would be possible to get a class set of A Wrinkle in Time so that my class could try annotating the book as we listened to it. She (and Macmillan) said yes. When the books came, I had my copy from my 6th grade Scholastic book order on hand. I had already told them that A Wrinkle in Time had been a landmark book for me as a reader. Now they looked at my scuffed copy as they held their shiny new copies. I told them that I had kept that book for almost 40 years, and that they, too, might keep the book in their hands for 40 or more years. Someday when they were all grown up, they might tell their children (or even their students) about the difference that book had made in their lives. Ten year-olds can't usually imagine 40 years into the future, but I think a few of them had a glimmer of it for just a second there. What kinds of things have we been noticing as we annotate and discuss the book? Words. Rich, rich vocabulary. And often words that relate to our word study focus, coming to life right there in the book! Connections. A geranium blooming on the windowsill of mother's lab -- just like the one in our classroom! Places in the story where Madeline L'Engle changed the mood of the story, or made us ask questions, or where we wrote, "Uh oh..."
Symbolism -- dark is evil, light is good; evil is cold, good is warm. Madeline L'Engle's use of similes, metaphors and idioms. The importance of freedom and individualism, family and friendship, love and trust. Yesterday we watched the Wonderopolis episode on time travel. It was fun to wonder if time travel will be possible in their lifetimes, or if they might someday be part of a team of scientists who bring us closer to that reality. We're not quite finished with the book. We have about 20 pages left, and I think I'm going to ask them to finish the book and annotate the last few chapters on their own over spring break. Then, when we come back together week after next, we can have the kind of discussion that Monica's classes have. We're not quite finished with the book...I'm thinking about that phrase...and I'm realizing that my students will NEVER be quite finished with this book. Some of them, anyway. This will be a book that keeps sounding and resounding in their lives as they grow up with it, grow into it, grow away from it, and hopefully come back to it. This is a book that has potential to leave a never-ending ripple in their thinking and in their reading lives. It doesn't seem like enough to simply say Thank You to Macmillan for providing these books for my class. What I'm really thanking them for is helping me to change the lives of 24 children. Go to Ed's webpage. Explore the rules, the pairings, the Poets (and "poets") -- all found in the "Madness! 2012" dropdown you can find underneath the word THINK. My first round word is WHACKED. My poem is written, kid-tested, and submitted. Sometime tomorrow morning, the voting will open. Go check out all the first round pairs. 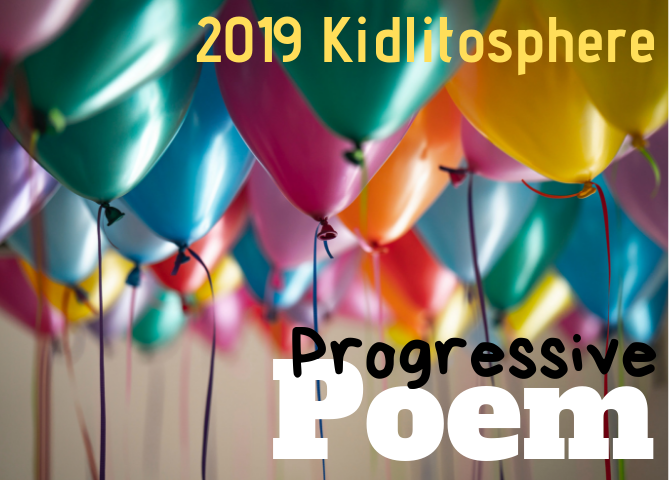 Vote for the best poem in each pair, then half of us will get a new prompt and start writing all over again...and again and again, for your amusement AND ours, until all of the tournament brackets are filled and the winning Poet (or "poet") is proclaimed. Nor I get in to him. Although I say, "Come out and play." He says, "Come in and swim." My 21 year daughter loved the book LUNCH by Denise Fleming. She loved when I read it because of the way I did the mouse's sniffing noise. (I must say, I am pretty good at it:-) Anyway, even now, when that book or something related comes up, Alexa looks at me with that 4 year-old face and says, "Do the sniffing noise." She reverts back to her 4 year-old self, just like I reverted back to my 3 year-old self with my dad last week. When I talked to my 12 year old about this, she immediately said she remembered when she was little, Alexa used to sing The Eensy-Weensy Spider to her, but messed up on purpose. She giggled like her 4 year-old self as she was telling me and suggested we Skype Alexa so she could do it for her again--it was not the same if I did it. I love the ways these memories bring us back to our childhood selves. Not a big reading week for me. I had something every night after school. It was a good week, but VERY busy! I did read a bit every night before bed so I got a little bit of reading in, but not much. I am about halfway through with Haruki Murakami's book WHAT I TALK ABOUT WHEN I TALK ABOUT RUNNING. My friend, Samantha Bennett recommended it to me and I'm so glad I'm reading it. It is a great essay/memoir-type book focusing on running and writing. 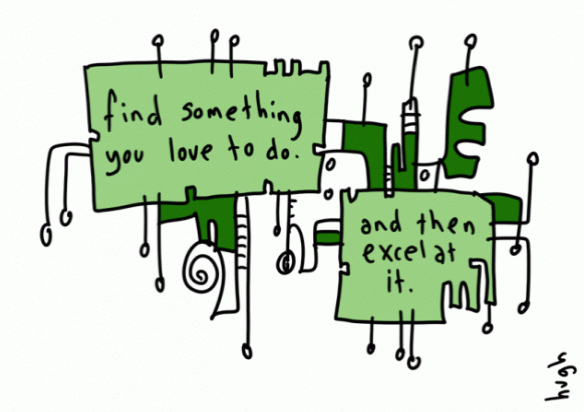 I love hearing about people talk about the things they are passionate about. And I love his insights about running. It is a good read. I also read a graphic novel from the Sports Illustrated Kids series-SPOTLIGHT STRIKER. I am so glad to have discovered these. I was pleasantly surprised reading this and plan to order several more from the series for the library. 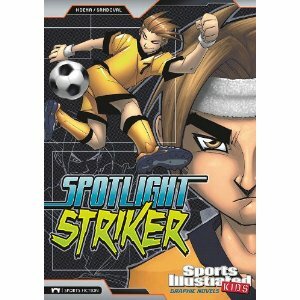 They are short, sports-based graphic novels that will be perfect for lots of kids. I thought the characters and story lines were pretty well-developed too. A great new find! I am also about halfway through THE HUMMING ROOM by Ellen Potter and am enjoying it. I am a huge Secret Garden fan so this is a fun read. I will write about this one after I finish it. Plus, Monday is veggie goulash day in the cafeteria, which would be awful except that they serve ice cream cups for dessert because who would buy goulash if you weren't getting ice cream with it? Mrs. Grimes goes up on stage with clickety-clackety shoes. If those were my shoes up there, I'd jump around and make some more noise on that nice wood floor, but I guess Mrs. Grimes has very good self-control and that's why she gets to be principal. I don't do paper dolls, especially not ones dressed in scratchy-looking dresses. I am not patient. My mom says "patient" and I are not even distant relatives. I write three observation journal entries without even peeking, which is pretty clever if you ask me. Seriously, how could anyone not love Marty? Not only is she a great character but this book is all about how she does a project to help the environment. 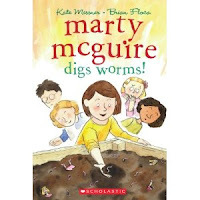 There are so many great connections that this would make a great read aloud for any grade level. It is a great school story about a great character. I am already anxiously awaiting the next Marty McGuire book! 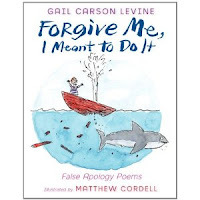 I'm also looking forward to checking out FORGIVE ME, I MEANT TO DO IT: FALSE APOLOGY POEMS by Gail Carson Levine which is due out this week and TRAIN LIKE A MOTHER which is due out later this month. Visit TEACH MENTOR TEXTS for the round up! Ed DeCaria, at Think, Kid, Think, is hosting a March Madness Tournament of Children's Poetry. There are 64 poets signed up to play...including ME! There are brackets and seeds and all kinds of other things about tournaments that I don't really understand. 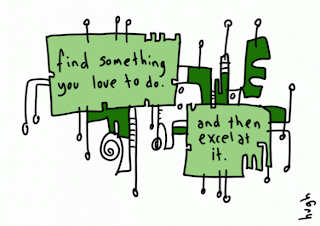 But there is also fun, creativity, spontaneity, voting, and...did I mention already? FUN! I woke up this morning thinking about the Poetry Friday post I hadn't yet written, and this is the poem that immediately came to mind. "I am overtired / Of the great harvest I myself desired." 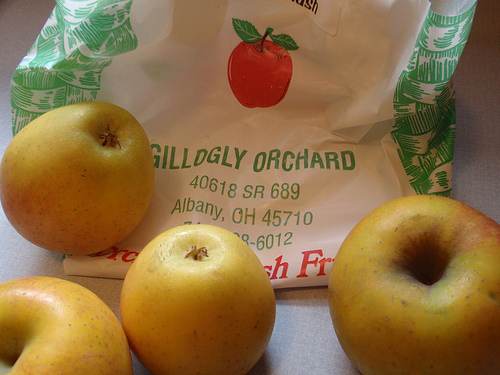 ...And I'm not talking about apple picking here, either. Myra has the Poetry Friday roundup this week at Gathering Books. •invite child response or participation. •meet generally accepted criteria of quality for the genre in which they are written. A Butterfly Is Patient, by Diana Hutts Aston, illustrated by Sylvia Long, published by Chronicle Books. A Monster Calls, by Patrick Ness, published by Candlewick. Addie on the Inside, by James Howe, published by Atheneum. Amelia Lost: The Life and Disappearance of Amelia Earhart, by Candace Fleming, published by Schwartz & Wade. Balloons over Broadway, by Melissa Sweet, published by Houghton Mifflin. Bluefish, by Pat Schmatz, published by Candlewick. BookSpeak: Poems about Books, by Laura Purdie Salas, illustrated by Josee Bisaillon, published by Clarion. Breadcrumbs, by Anne Ursu, published by Walden Pond. Dead End in Norvelt, by Jack Gantos, published by Farrar, Straus and Giroux. Heart and Soul, by Kadir Nelson, published by Balzer + Bray. Hound Dog True, by Linda Urban, published by Harcourt. Inside Out & Back Again, by Thanhha Lai, published by Harper. Lemonade: And Other Poems Squeezed from a Single Word, by Bob Raczka, published by Roaring Brook Press. Me...Jane, by Patrick McDonnell, published by Little, Brown. Okay for Now, by Gary Schmidt, published by Clarion. Over and Under the Snow, by Kate Messner, illustrated by Christopher Silas Neal, published by Chronicle Books. Pablo Neruda: Poet of the People, by Monica Brown, illustrated by Julie Paschkis, published by Henry Holt. Passing the Music Down, by Sarah Sullivan, illustrated by Barry Root, published by Candlewick. Requieum: Poems of the Terezin Ghetto, by Paul Janezko, published by Candlewick. Shout! Shout it Out!, by Denise Fleming, published by Henry Holt. Stars, by Mary Lynn Ray, illustrated by Marla Frazee, published by Beach Lane. The Cazuela That the Farm Maiden Stirred, by Samantha R. Vamos, illustrated by Rafael Lopez, published by Charlesbridge. The Cheshire Cheese Cat, by Carmen Agra Deedy and Randall Wright, illustrated by Barry Moser, published by Peachtree. The Friendship Doll, by Kirby Larson, published by Delacorte. The Great Wall of Lucy Wu, by Wendy Wan-long Shang, published by Scholastic. The Scorpio Races, by Maggie Stiefvater, published by Scholastic. These Hands, by Margaret H. Mason, illustrated by Floyd Cooper, published by Houghton Mifflin. True…Sort of, by Katherine Hannigan, published by Greenwillow. Underground, by Shane W. Evans, published by Roaring Brook Press. Won Ton: A Cat Tale Told in Haiku, by Lee Wardlaw, illustrated by Eugene Yelchin, published by Henry Holt. Today is World Read Aloud Day. I have been considering and reconsidering read aloud in print for 10 years and in classroom practice for almost 30 years. When I attempt to distill the power of read aloud, it always comes down to COMMUNITY. Read aloud builds a community of readers. Read aloud is the common thread that ties together all the listeners in the classroom. It gives them books in common, authors in common, stories in common, and characters in common. Read aloud is when we think together, laugh together, and sometimes cry together. Read aloud is the dock where we tie up all of our reading canoes, the airport where we land our reading airplanes, the parking lot where we park our reading cars. Read aloud is a movie theater, where everyone in the audience gets the same soundtrack, even though the screen and the pictures are inside each head. Read aloud is what solitary readers can do together. It’s a book club, only better, because the conversations don’t just happen after everyone has read the book in isolation. You talk about the book all the way through. Sometimes there’s no time left over to read the book because you’ve spent so much time talking about it. And that’s okay, because read aloud has a permanent spot on the classroom’s daily schedule. The book will be there, waiting for us tomorrow. We can plan on read aloud. We can depend on read aloud. Read aloud is the constant in the changing swirl of classroom content. It’s the learning time that demands both the most and the least of a learner. It’s a time, I was told by a student once, to “learn without trying.” The listener takes from the read aloud what he or she can or will on a day-to-day basis. Read aloud might be the book that none of the listeners would ever read independently. Read aloud provides a life vest, a climbing harness, a parachute, a safety net to support readers through topics or ideas or genres or events in history that they could never or would never attempt on their own. Read aloud stretches minds. Read aloud opens doors. Read aloud breaks down barriers. Read aloud cannot be measured or programized or standardized or equalized or regimented. It is organic. Everything depends on the teacher, the book, and the listeners. Read aloud can never be the same thing twice. Read aloud is an art, not a science. The reader paints meaning with book choice, inflection, intonation, sound effects, pauses, and discussion. The listener begins by viewing the reader’s paintings, but often ends up inhabiting the paintings – becoming the characters, experiencing the settings, living the story. Build can mean construct, establish, or increase. Read aloud builds community, and read aloud builds readers. And, guess what? Kelly at The Book Butcher has started a new Friday tradition--sharing your favorite pins. Check it out and join in! 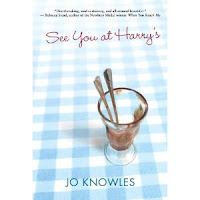 SEE YOU AT HARRY'S by Jo Knowles. This is an amazing book but a devastating read. It is one of the hardest books I've ever read and I have not stopped thinking about it. I won't say much but the story is one of family, love and loss. And it is told so well. The book is being marketed to ages 10+ but I am thinking it is more 12+. Not sure though so I'd love to hear what others think. Really, an amazing book and one I would highly recommend--a must read. But just be ready for a hard read. I read lots of picture books. My favorite of the week was Z IS FOR MOOSE by Kelly Bingham. What a fun alphabet book! I am so happy to add this to my ABC book collection. This is such fun. Mary Lee talked me into this one with her review! 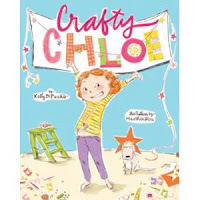 I picked up CRAFTY CHLOE by Kelly DiPucchio at Cover to Cover this weekend. I love Kelly DiPucchio so was happy to see a new one from her. This book is about Chloe, who loves to make things. I love it for lots of reasons--I loved the character. I loved the value the story places on making things and creativity. I am going to be working with 1st graders on how-to writing so this book will be a perfect conversation starter. There is a website that goes along with this book that will hopefully build to include lots of crafts for readers to try! I am so excited that Kevin Henkes added a new mouse to his characters. I loved PENNY AND HER SONG and will be reading it to classes this week or next. I love the quiet story, the short chapters and this addition to the Henkes books. I had not had time to read THESE HANDS by Margaret Mason and kept meaning to. So glad I read it this week. A very powerful book. Right now, I am reading a few things. I am reading THE HUMMING ROOM by Ellen Potter. I love Potter's writing and since this book is closely related to THE SECRET GARDEN, I am excited about it. I am about 1/3 of the way through and I love the character. Looking forward to finishing this. I am also reading PROJECT BASED LEARNING IN THE ELEMENTARY GRADES. I registered for a workshop on the topic in June and thought I'd read a bit first. And, I did finally finish HEALTH AT EVERY SIZE by Linda Bacon. I am glad I read it. It made sense to me--the philosophy of health over weight loss goals seems like a smart way to live. 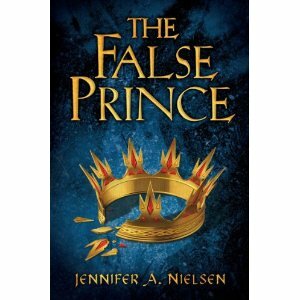 We have an ARC of THE FALSE PRINCE by Jennifer Nielsen and one of my 5th graders read it. When I found it back on my table, there was a post it on top of the book that said, "One of the best books I've read in a long time." So, it has made its way to the top end of my stack! 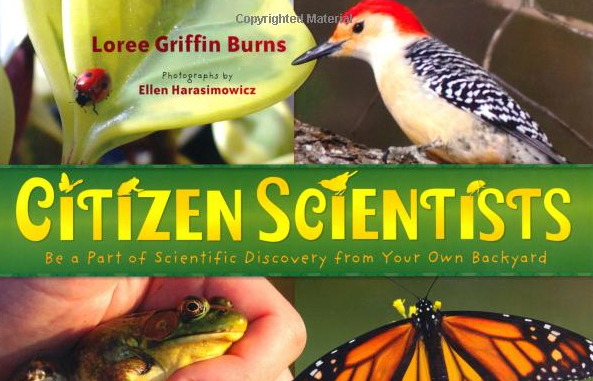 Beth at Cover to Cover shared CITIZEN SCIENTISTS by Loree Griffin Burns with me and it looks like a great nonfiction read. 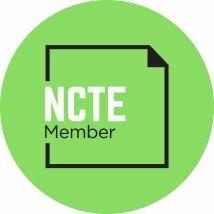 I think it will be a great one to share with upper elementary students to connect with their science work. I keep hearing about CROW by Barbara Wright and want to read that one soon. And I want to read NERD CAMP since I'd heard about it from CYBILS. Finally, I have a copy of Ellin Keene's newest book called TALK ABOUT UNDERSTANDING: RETHINKING CLASSROOM TALK TO ENHANCE COMPREHENSION and it looks amazing. I think talk is the key to great learning and I can't wait to hear what Ellin has to say about this topic.